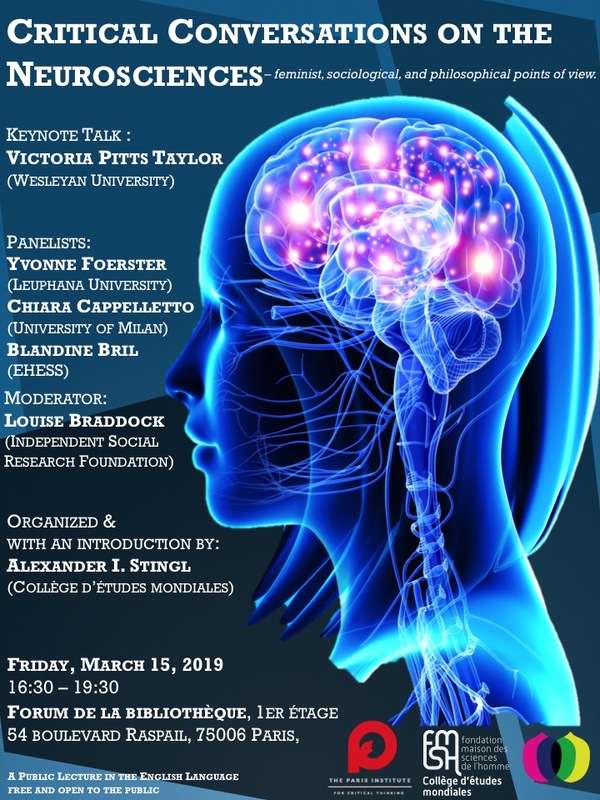 On Friday, March 15, 2019, PICT will co-sponsor the panel, “Critical Conversations on the Neurosciences,” at the Maison des Sciences de l’Homme. The panel is organized by Alexander I. Stingl (Collège d’Etudes Mondiales) and co-sponsored by the Paris Institute for Critical Thinking (PICT), Collège d’Etudes Mondiales (FMSH), and the Independent Social Research Foundation (ISRF). The brain has become politicized: there is talk of “neuropolitics,” with certain researchers stating that even our vote is a matter of brain structures, and that there are such things as liberal and conservative brains. Clearly, then, neurosciences and cognitive sciences can be used to surveil and control our lives or to generate more autonomy. We need critical conversations that help us understand both the risks and opportunities presented by these fields. 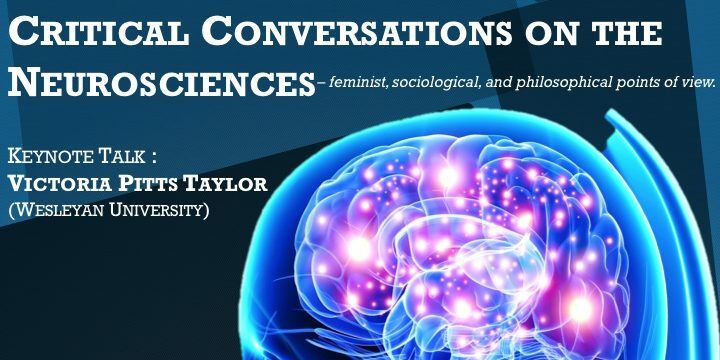 Led by keynote speaker Victoria Pitts-Taylor (Wesleyan University), this panel aims at starting exactly this kind of conversation.